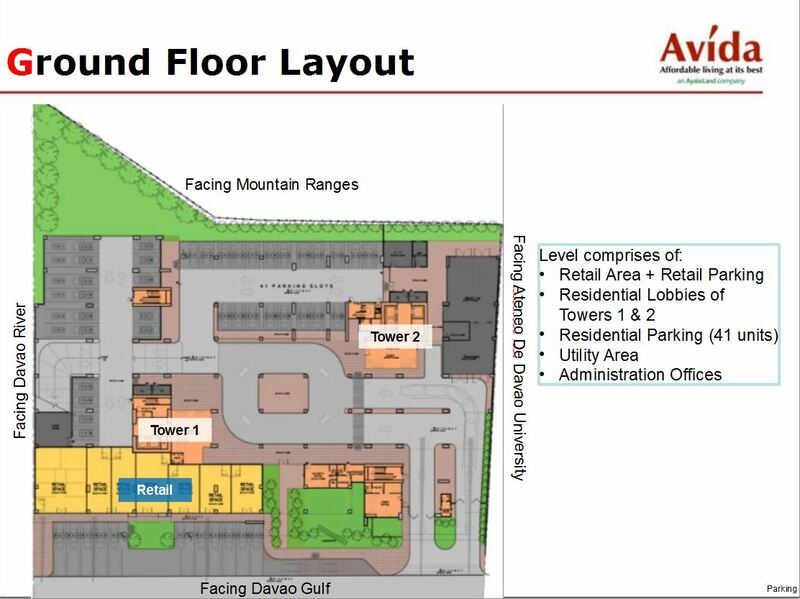 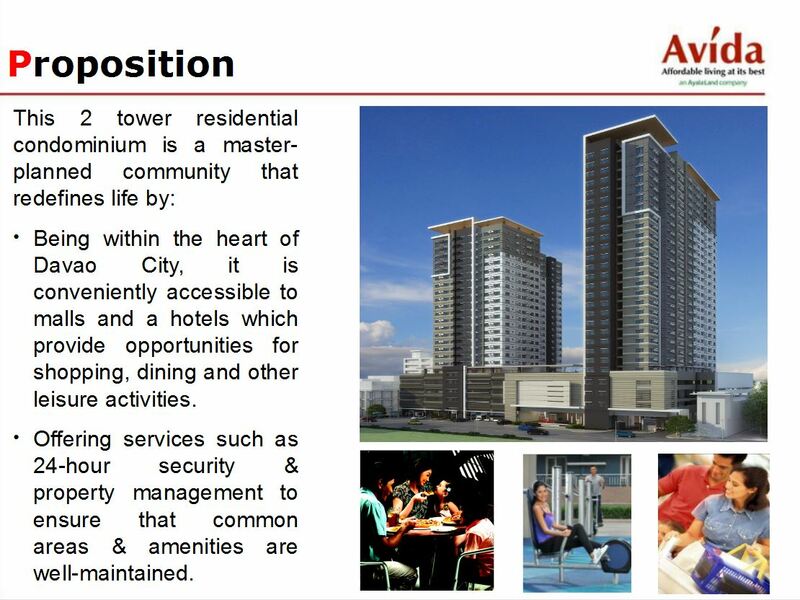 Avida Towers Davao is strategically located along C.M. 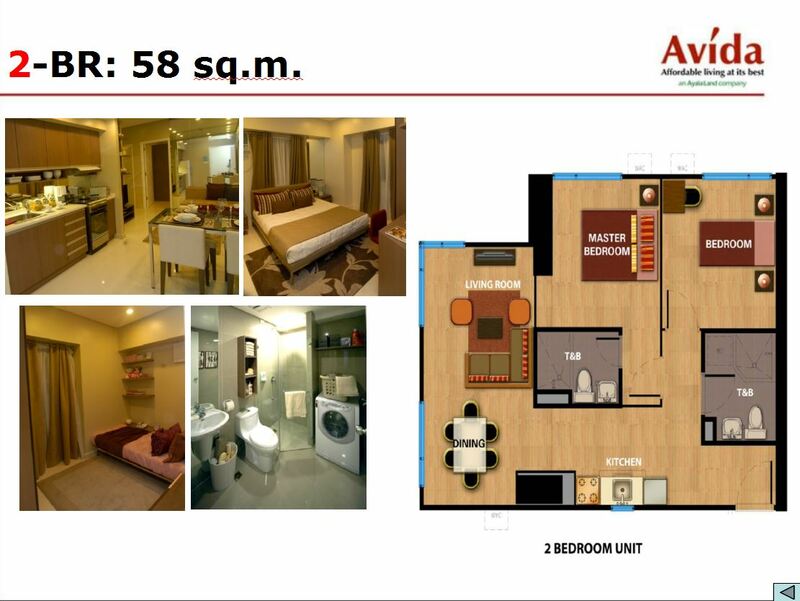 Recto St., Davao City. 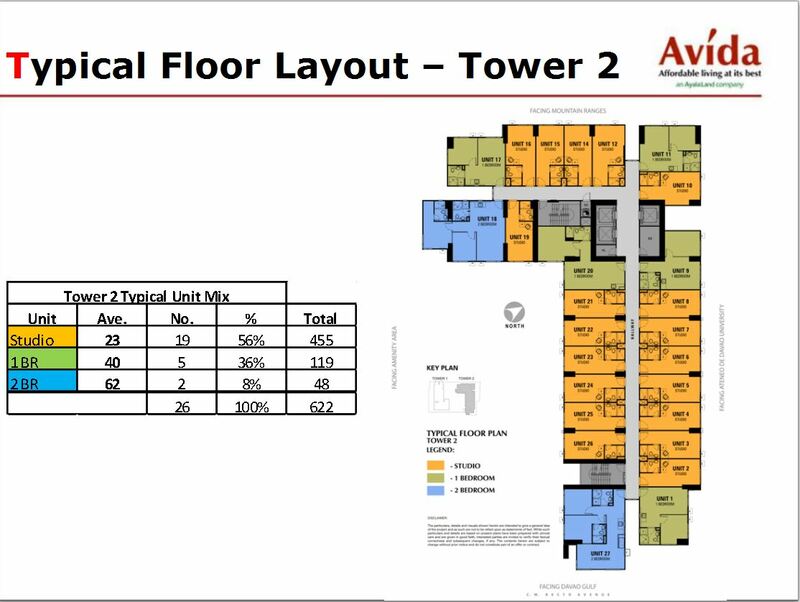 This development redefines life by being conveniently located within the heart of the city. 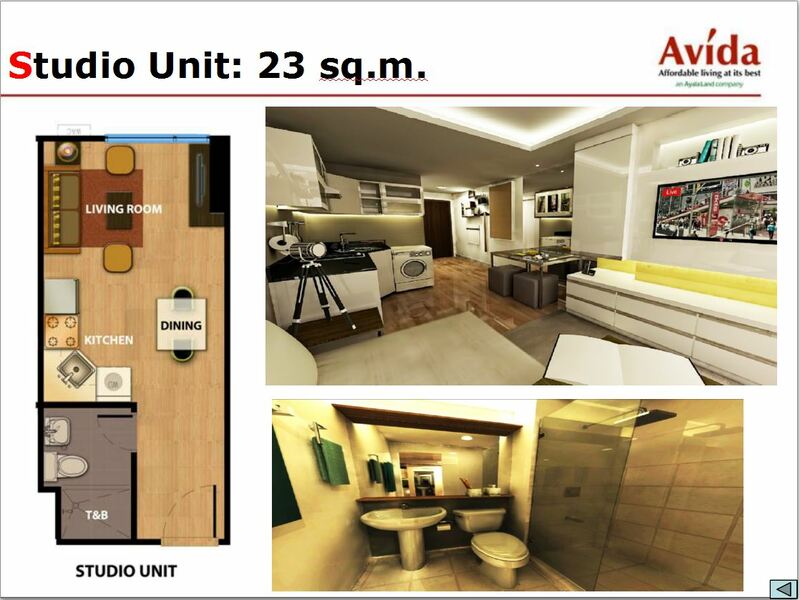 It is walking distance to Ateneo De Davao University. 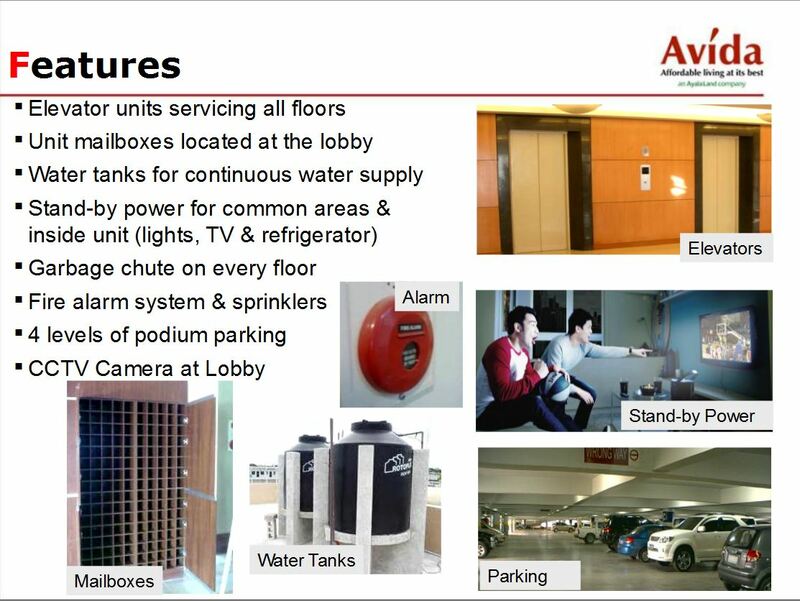 Its neighboring establishments include the world class hotel, Marco Polo, banks such as BPI, RCBC, etc. 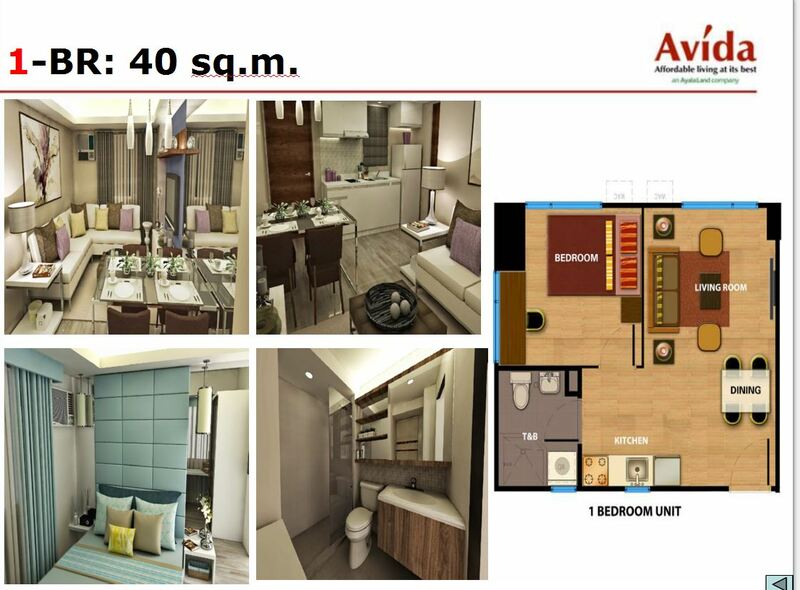 Also, Davao’s local products are sold in Aldevinco which is only a 5 minute walk from this condominium project. 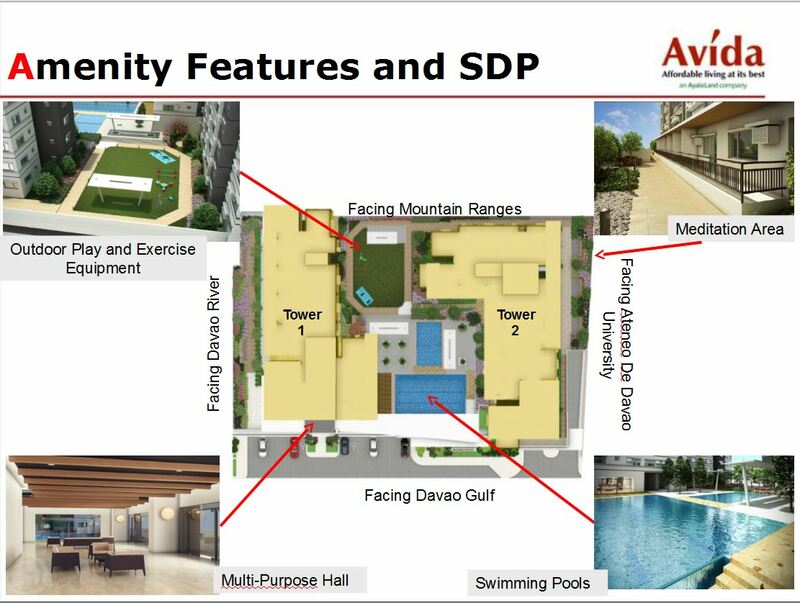 The master planned community has a total land area of 6,124 square meter and will consist of two (2) towers inspired by Modern Contemporary architecture. 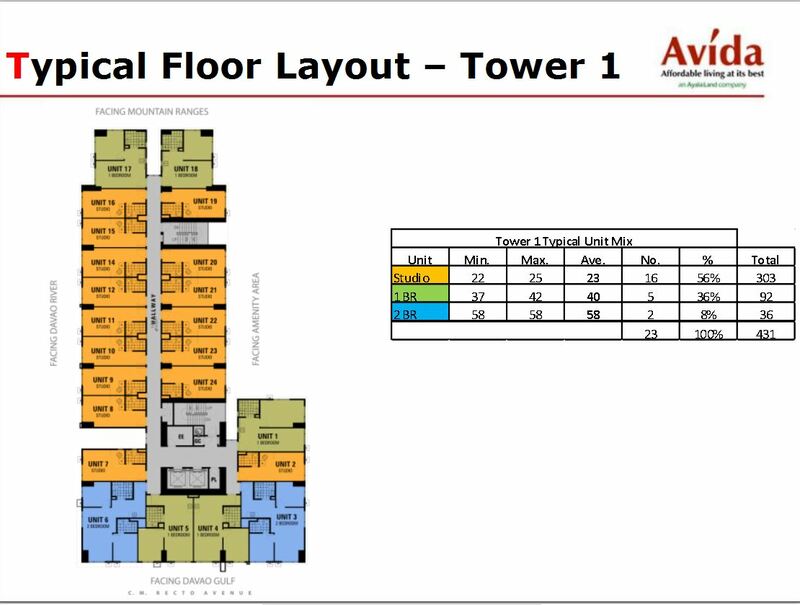 The 23-storey Tower 1 will house 431 residential units which also includes the Special 2BR units from the 19th to the 23rd floor and 170 parking units from the ground floor to the 4th floor. 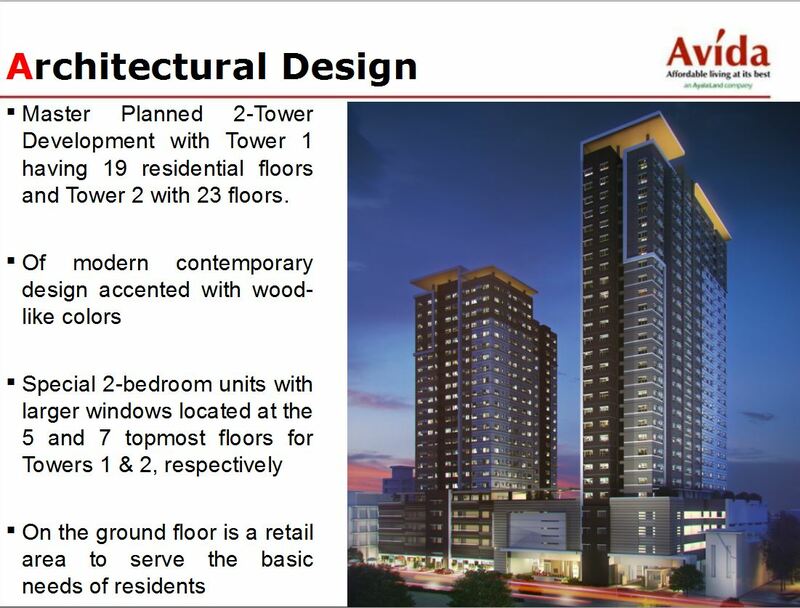 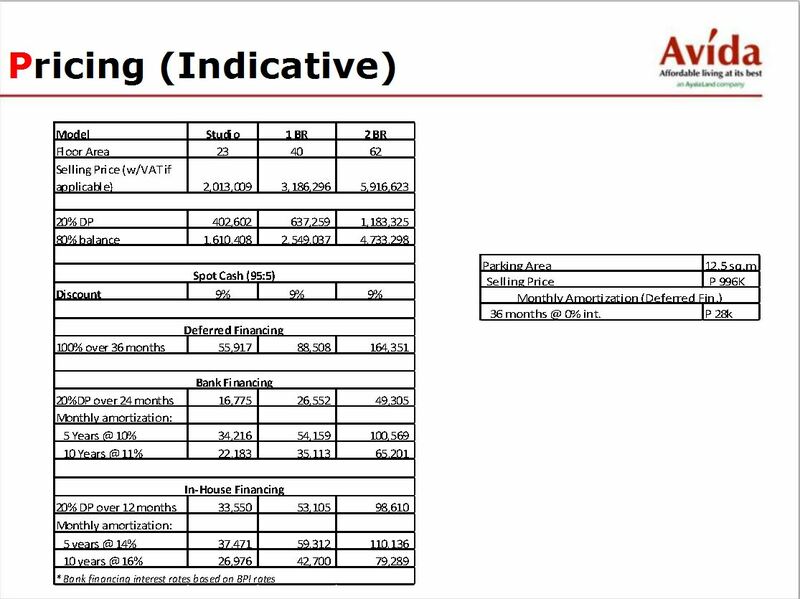 Avida Towers Davao is the first project of Avida Land Corp, the affordable developer of Ayala Land Inc.
Price Range : P2M to P5M , more or less.